Flow sensors and flow indicators are flowmeter devices used to measure the amount of liquid, gas or vapour that passes through them. They can also be known as flow gauges or liquid meters. 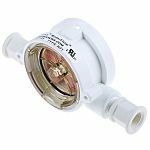 Flow sensors are available as time measuring units, that measure flow rates over a set time period, or they can be totalising flow meters that continually measure the medium passed through. 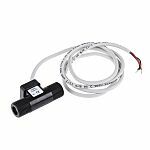 Flow sensors consist of a primary medium connection device, transducer and transmitter. The transducer senses the fluid that passes through the primary device. The transmitter produces an output signal from the raw transducer signal. Paddlewheel Flow Sensors or Turbine: One of the most common types of flow sensor. The sensors are connected to a pipe with liquid passing through and turning a paddle wheel, the primary device calculates the speed as the paddle is turned. This simple structure is compact and can perform large-capacity measurement. Disadvantages are clogging and maintenance is required to cope with the axial wear otherwise the paddle needs replacing. Rotaflow or Variable Area Flow Sensors: Rotaflow meters are a tapered tube and a float. 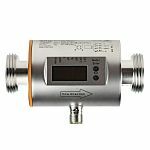 It is most widely used for gases and liquids flow measurement because of its low cost, simplicity, low pressure drop and linear output. Magnetic-Inductive Sensors: This type of sensor detects three process categories, volumetric flow quantity, consumed quantity and medium temperature. What is the fluid being measured, if not water what is its viscosity? What is the minimum and maximum flowrate, process pressure and process temperature?